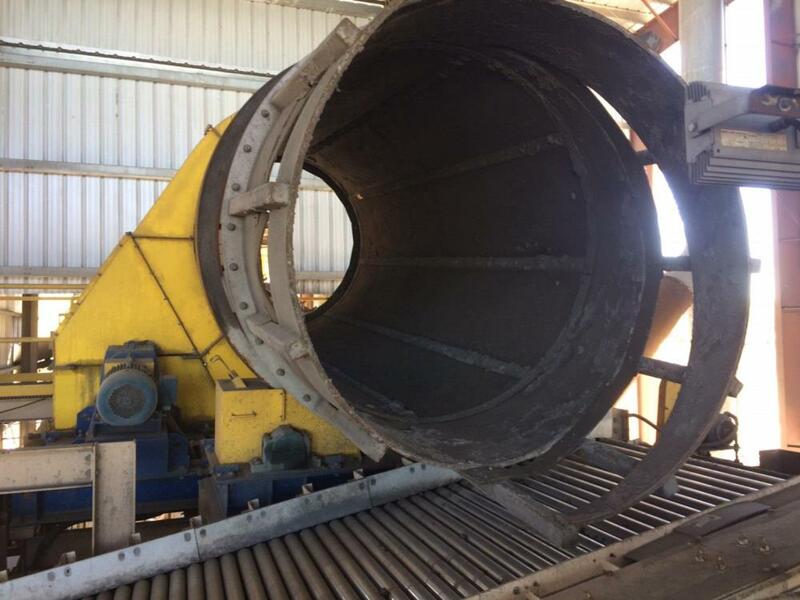 Feeco Balling Drum Pelletizer, 7' internal diameter X 16' long, with 4'6" discharge scroll ring. A36 steel plate construction. Features 5 mm Linard 60 lining. Driven by 30 HP TEFC, 3-phase, 480 V, 60 Hz motor with VFD controls. Includes forged steel tires and wheels, tapered roller bearings, self-aligning pillow blocks, steel shaft, sprockets, chain, thrust rollers and breeching. 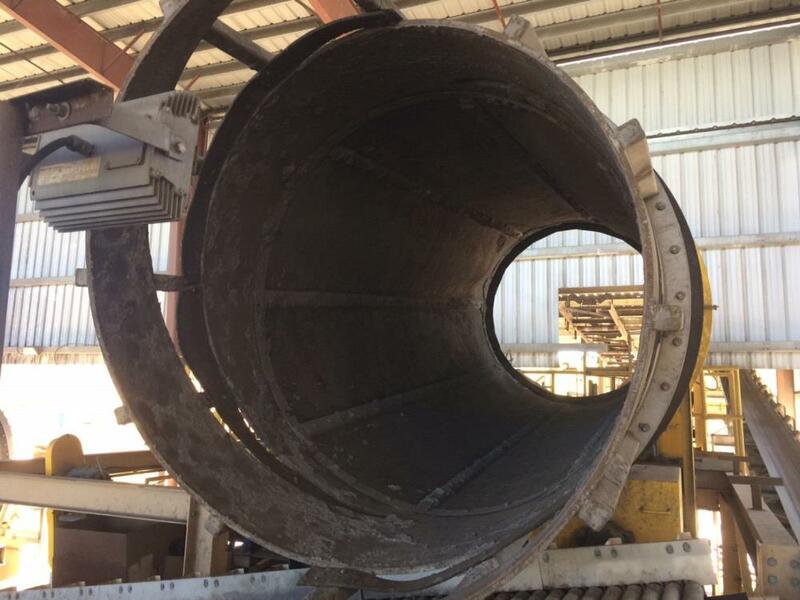 Agglomeration rate of 45.5 STPH, new feed rate of 14 STPH and recycle rate of 31.5 STPH.